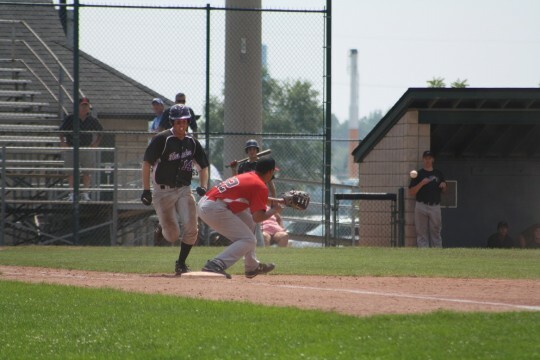 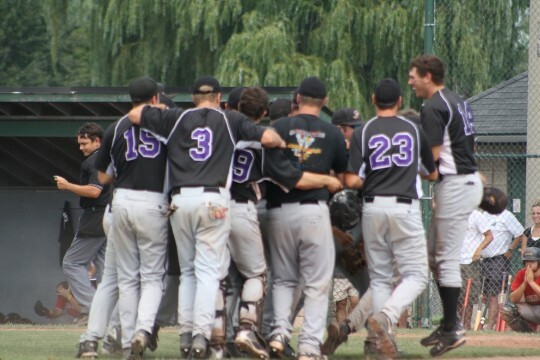 The Windsor Junior Selects lost to the Tecumseh Thunder 6-5 Monday afternoon, officially knocking them out of the Ontario Junior Baseball Championship finals. 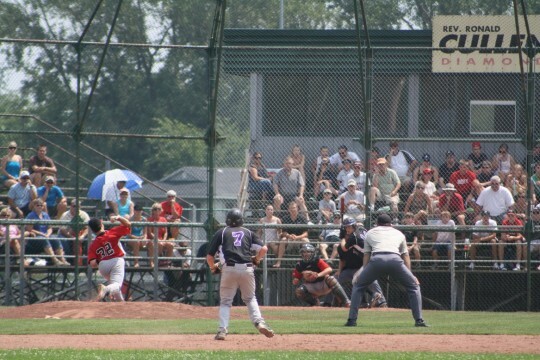 Tecumseh will proceed to play against the Pickering team later Monday evening for the winning title. 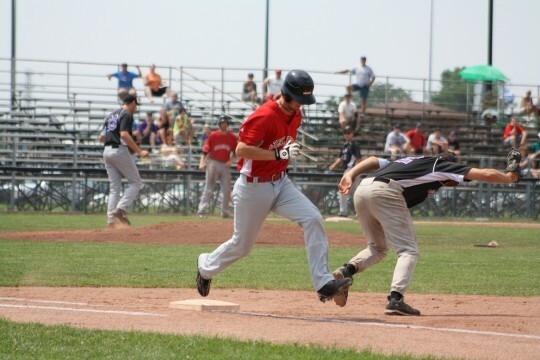 Windsor Selects player Laslo Horvath was ejected during the 1pm game for unsportsmanlike conduct after running his mouth after a Selects runner collided with the Tecumseh pitcher at home plate. 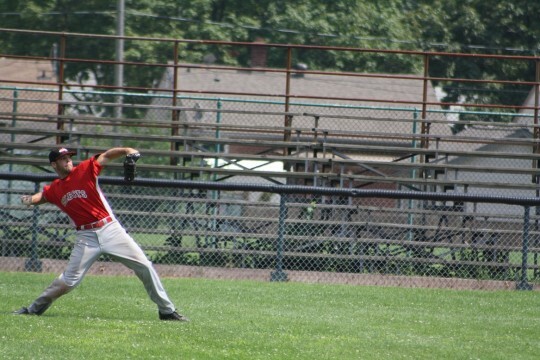 Tecumseh Thunder pitcher, Scott Granger, prepares his pitch. 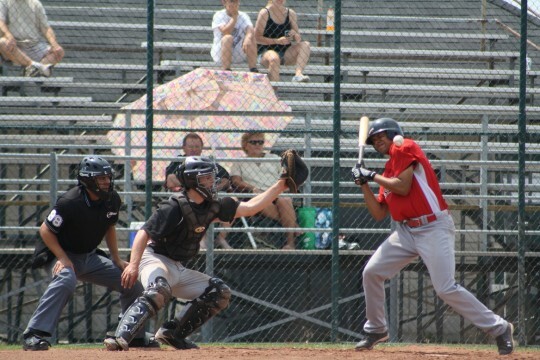 A Selects player is hit by a pitch. 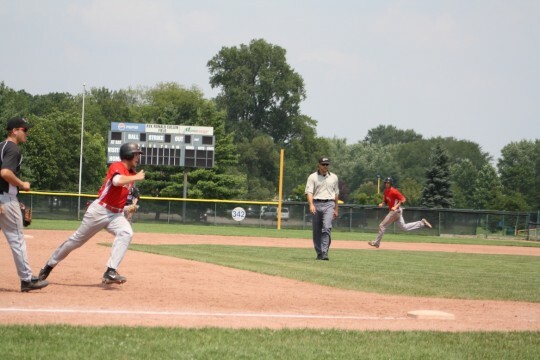 Another Selects player has just been given 1st after being hit by a pitch. 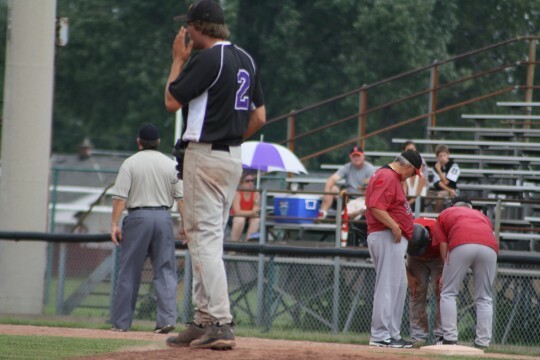 His coaches check on his well being and then replace him with a pinch runner. 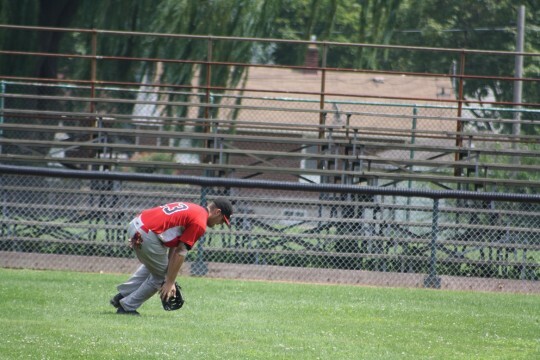 A Selects batter/runner is gunned down at 1st base following a ground ball. 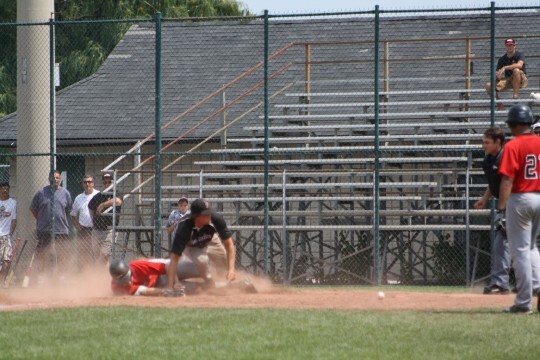 Selects batter/runner was called out following this play. 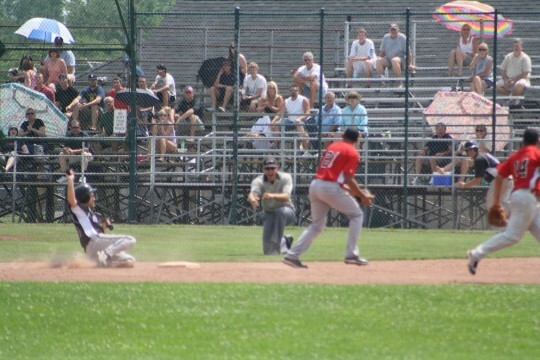 The Selects batter/runner was declared safe following this play. 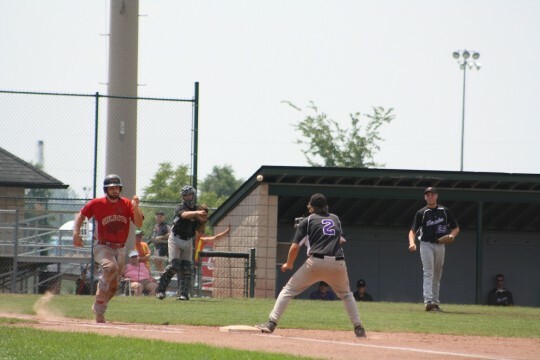 The Selects runner was declared safe here after the fielder dropped the ball. 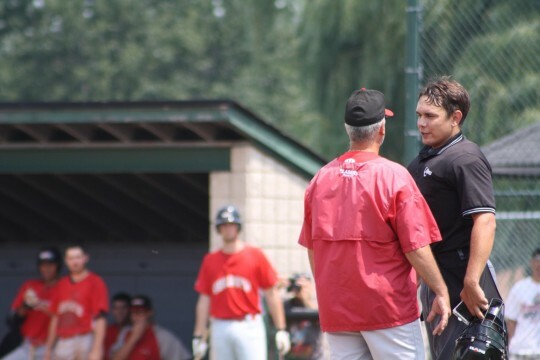 A Selects coach protests the ejection of #11 following the controversial collision at home plate. 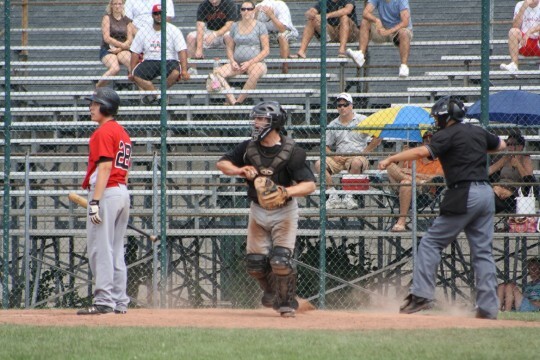 Tecumseh catcher, Michael Ferrato, is thrown out at 1st after hitting a ground ball which took an extremely high hop to the shortstop. 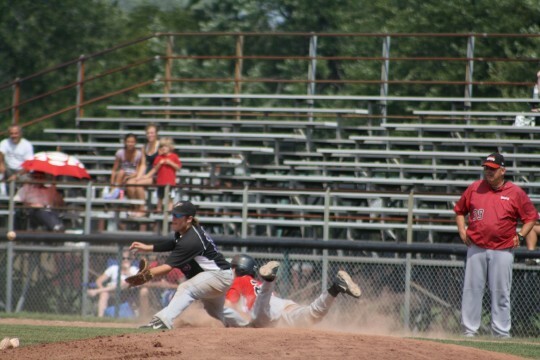 A Tecumseh Thunder runner is declared out following a force play at 2nd base. 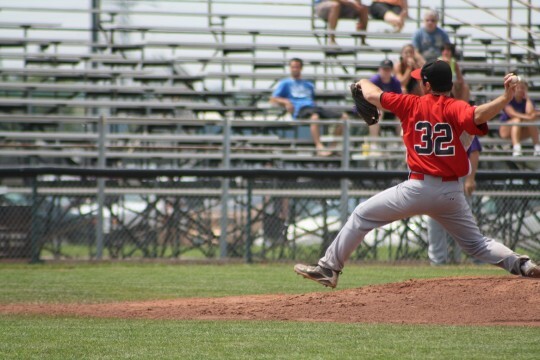 Windsor Selects batter #28 strikes out to end the game. 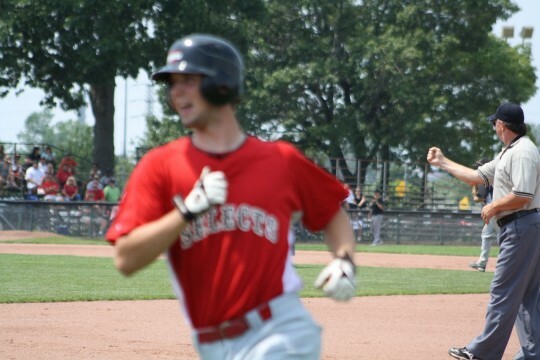 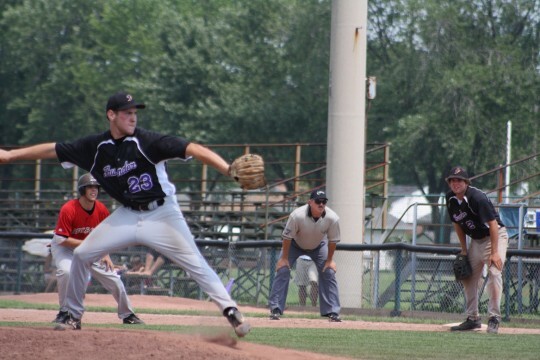 Tecumseh was the home team and was already ahead by one run in the 7th and final inning. 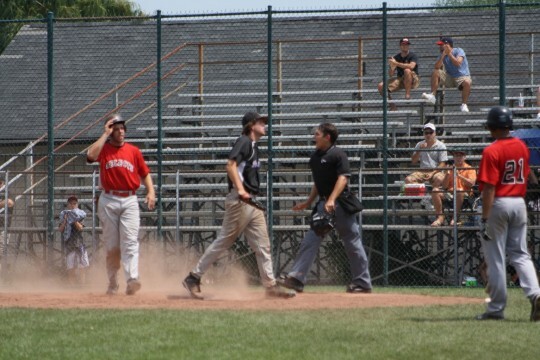 The Tecumseh team celebrates their victory against Windsor. 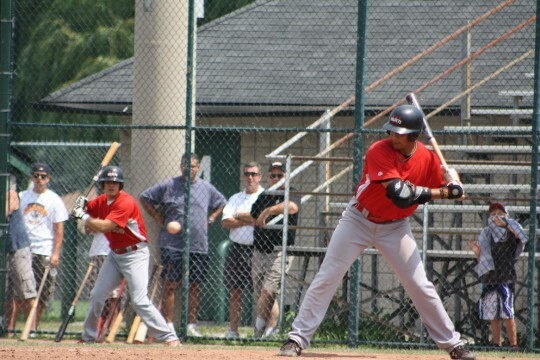 They will be facing Pickering next for the winning title. 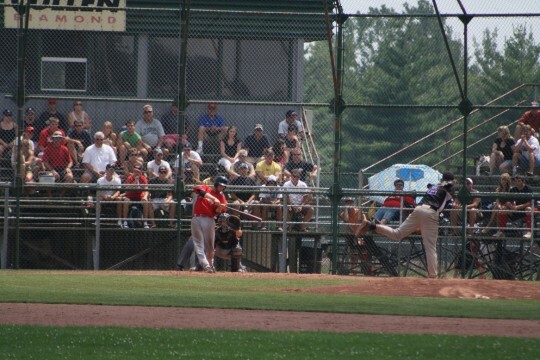 Photos by Aric Aczel.